Allows adjustable 1st fold range of 2" and 11.5"
Martin Yale started in 1940 and is now a worldwide leader of office products. It manufactures shredders, folding machines, finishing equipment, paper punches, mailroom equipment, paper trimmers and cutters, document management products and ergonomic computer accessories. Martin Yale�s brands like Intimus shredders are recognized in the industry for their durability and accuracy. Its popular shredders are the Intimus 602 CC, 5000 Shredder, Intimus 007SF and UC5500. 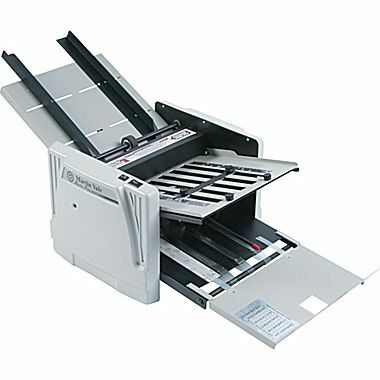 Among the other popular products are the Master paper punches, catalog racks and reference systems, Mead-Hatcher ergonomic computer management accessories and Premier table-top trimmers and office machines. 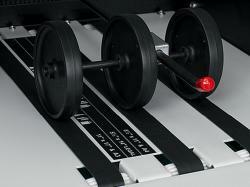 Martin Yale provides solid performance and makes office tasks simple, cost-effective and secure. Its brands drive the workplaces worldwide. Martin Yale�s corporate philosophy underlines their vision to make people's working lives all over the world more effective and more secure with their brands and technologies. 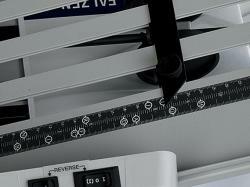 Martin Yale is committed to provide more productivity and data security. 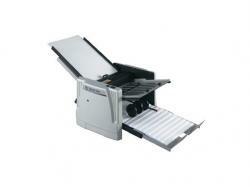 Folder machines precisely fold hundreds or more sheets quickly. These machines increase productivity and save time and money. Folder machines are important equipment for any financial institution, bank, investment firm, print shop, insurance company or business organization. Folder machines have a long history and its technology continues to develop. Manual paper folder clients now have the opportunity to use automatic paper folding machines to do the work extremely fast and save energy. Marquis, Martin Yale and MBM manufacture folder machines. Popular folder machines are Marquis�s iFold 100 Paper Folder and iFold 300 Paper Folder, Martin Yale�s P6200 Manual Desktop Folder, P7200 Automatic RapidFold Folder, P7400 Automatic AutoFolder and 959 Heavy Duty AutoFolder, and MBM�s 87M Tabletop Friction Folder, Simplimatic Tabletop friction folder and 207M Tabletop Friction Folder. "I was very impressed with Clary Business Machines customer service. They were very helpful and were able to answer my questions and find out the information I needed. I was able to purchase the paper folder for nearly half price from other sites and I look forward to it being delivered."